material for bedding, mattresses and outdoor apparel products. Easy care silk-filled bedding that can be washed at the convenience of your own home. No need for professional laundry. 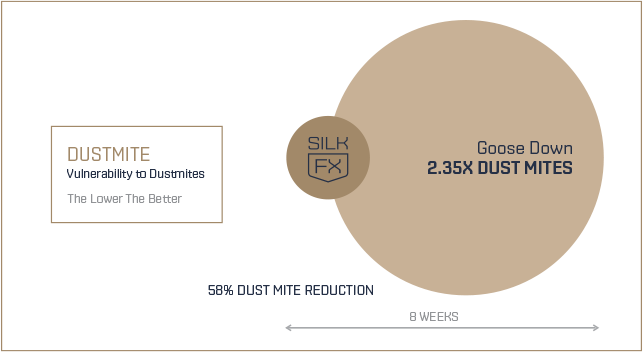 Test from Airmid Healthgroup shows 58% reduction of dust-mites in SilkFX® filling after 8 weeks use (when compared to goose-down. Keeps you warm and comfortable. 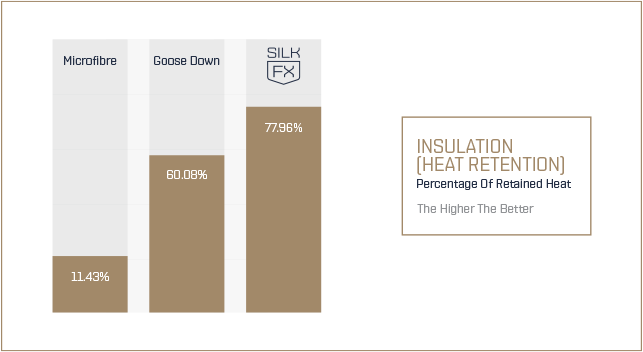 Effective double insulation with hollow silk-fibre core and high heat retention abilities. Adjusts to the body´s temperature and helps reduce uncomfortable overheating. Cools when hot and warms when cold. Cleaner and healthier than other natural and man-made fillings. 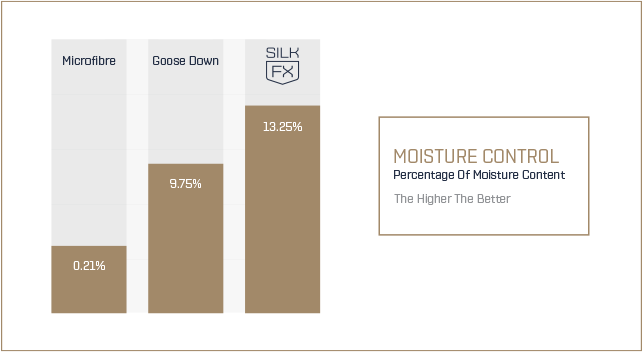 Silk is anti-bacterial due to an added layer of silk protein (Sericin). A natural hypo-allergenic silk-fibre material free from harmful substances. No known allergic reactions caused by silk in humans. 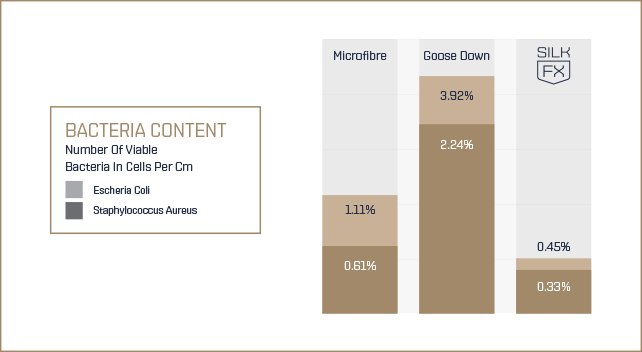 Wick away moisture better than most other materials and can absorb up to 33% of its own weight without feeling damp. Let your body breathe naturally and allow excess heat and moisture to escape through the material.